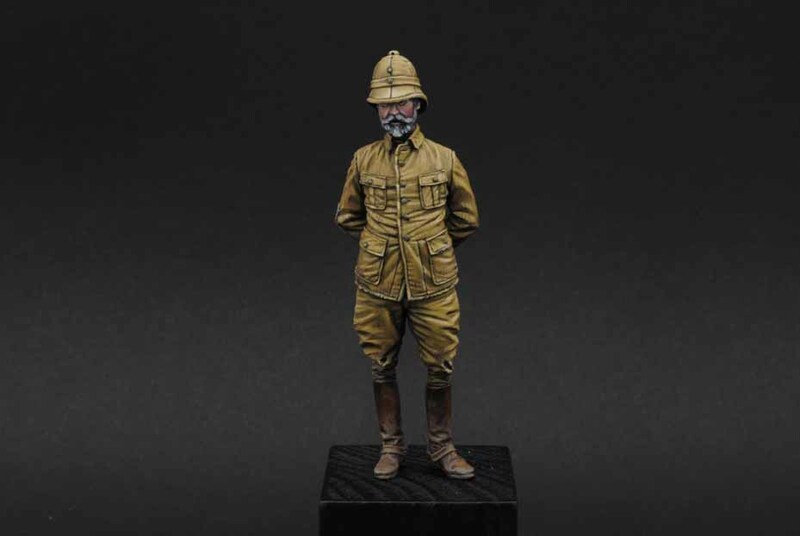 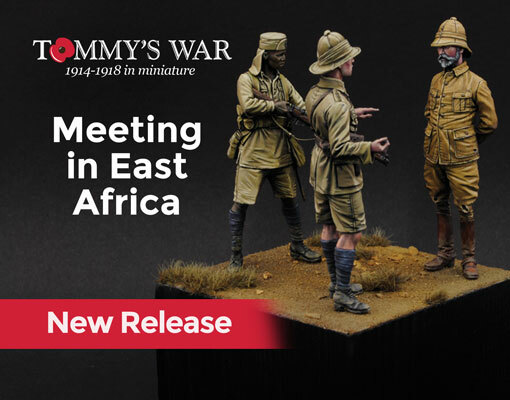 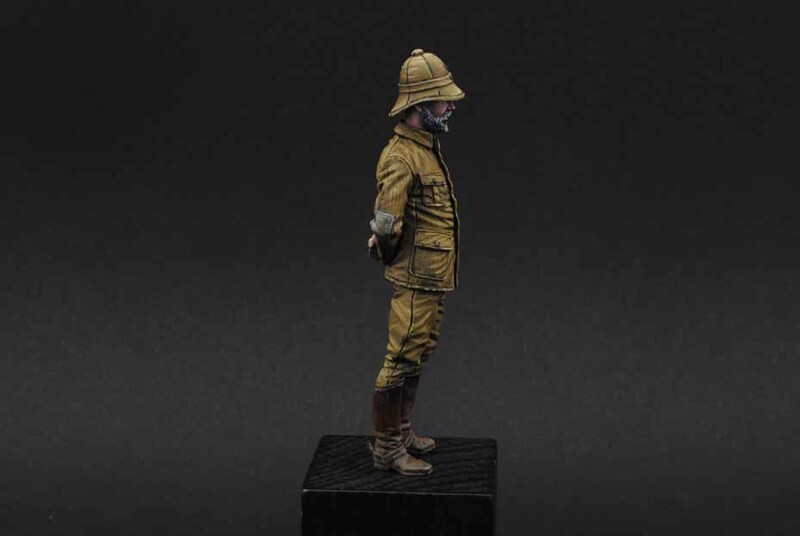 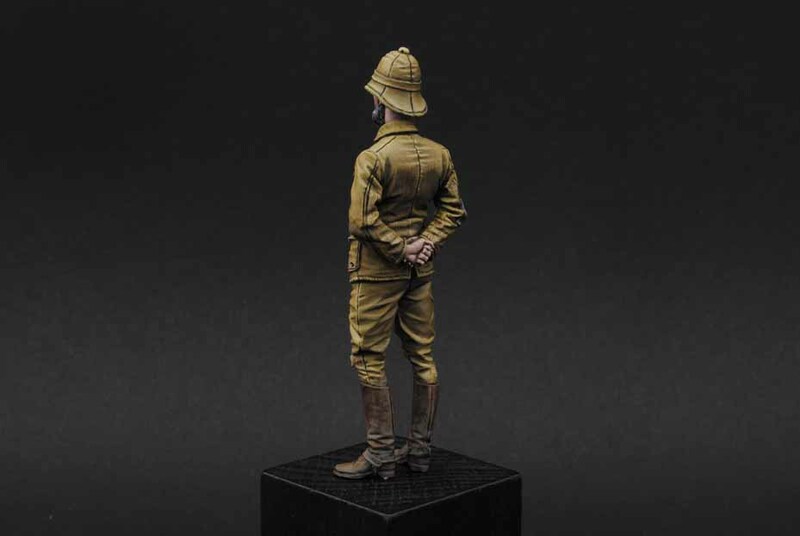 This figure is one of three figures designed to depict the British and German armies in East Africa in World War One which has the title of ‘Meeting in East Africa’, depicting two Kings African Rifles speaking to a captured German Shutztruppe officer. 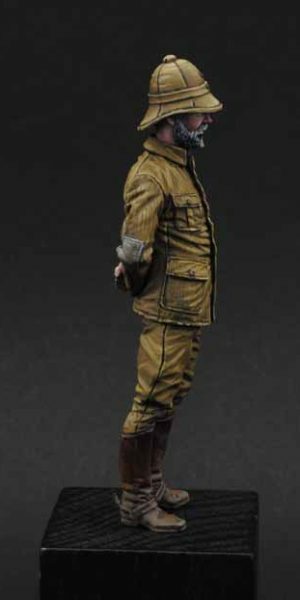 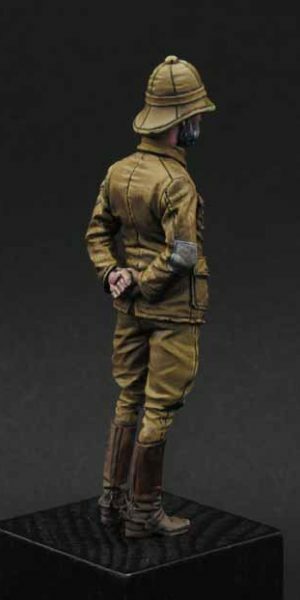 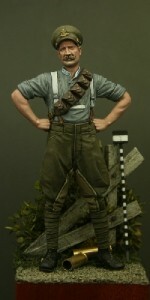 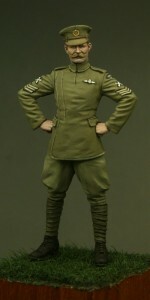 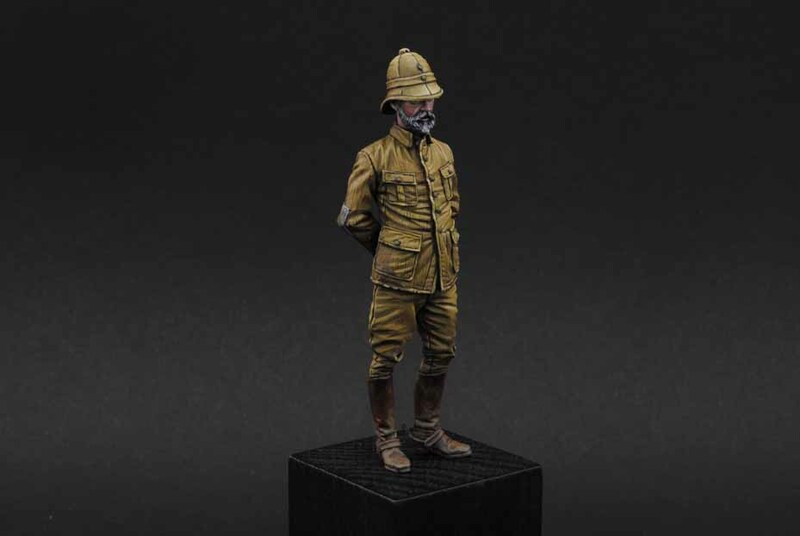 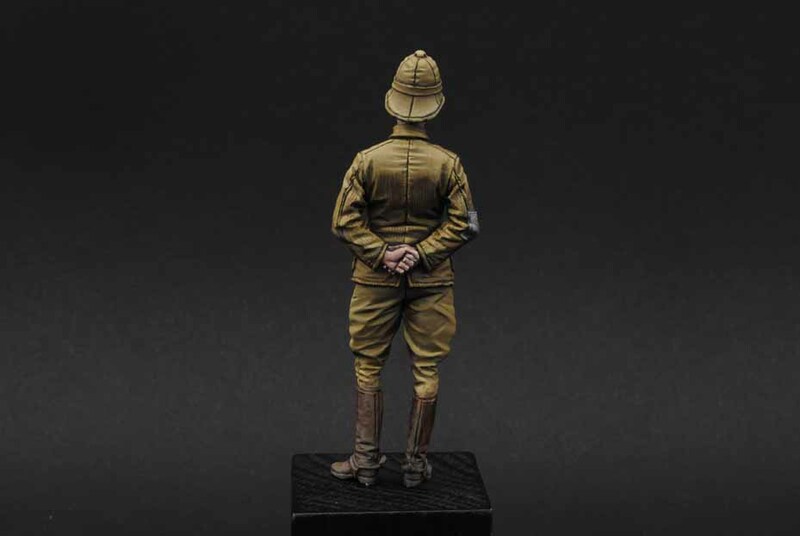 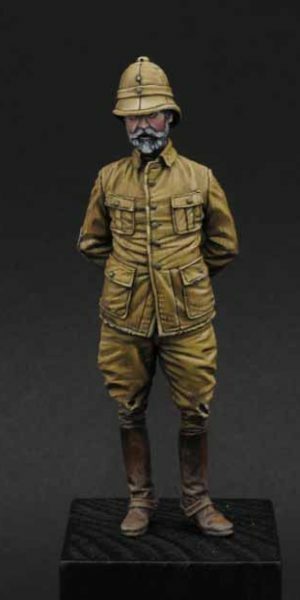 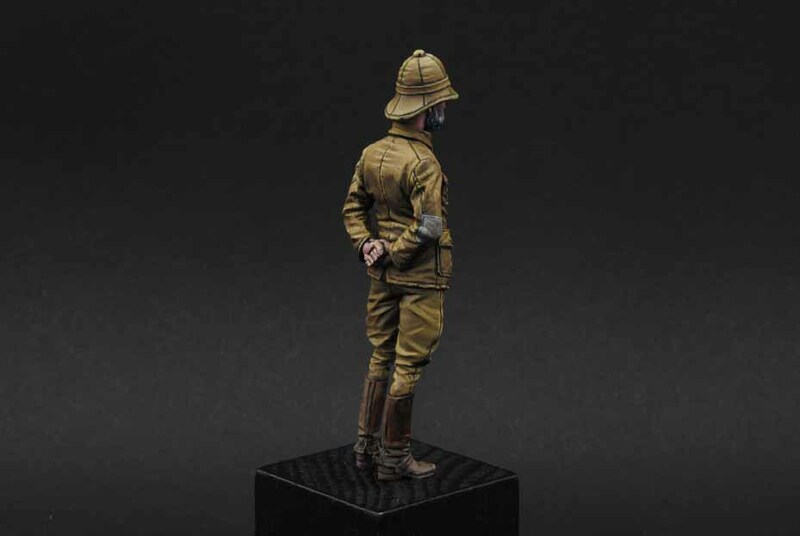 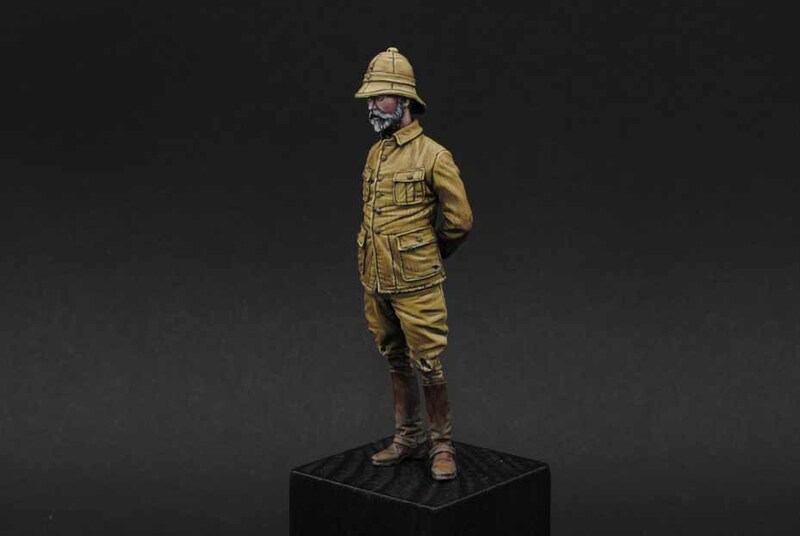 TW32CP02 is an officer of the German Schutztruppe (Protection Force) which fought a guerilla war against the British forces in East Africa in World War One. 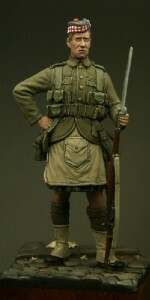 He wears an M 1896 pith helmet and field tunic and trousers*. 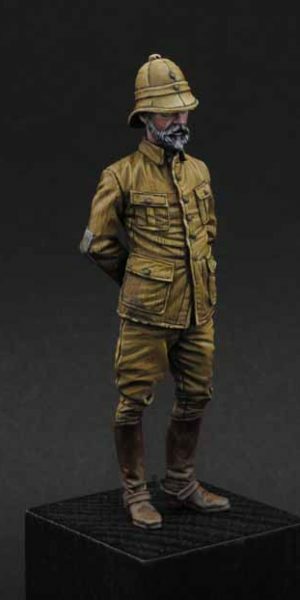 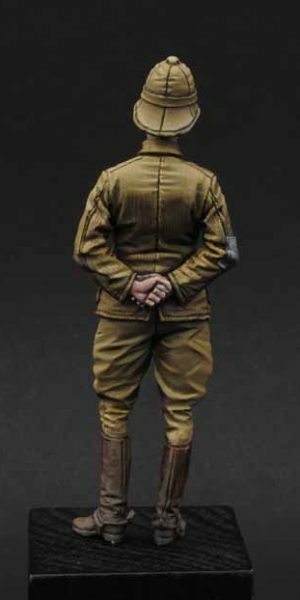 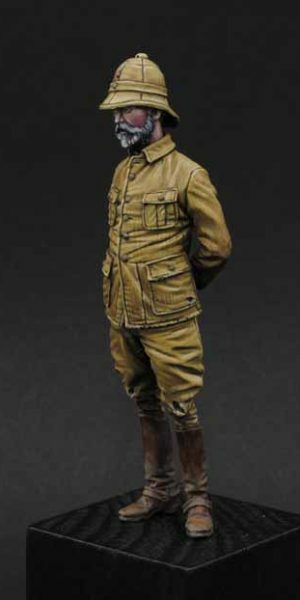 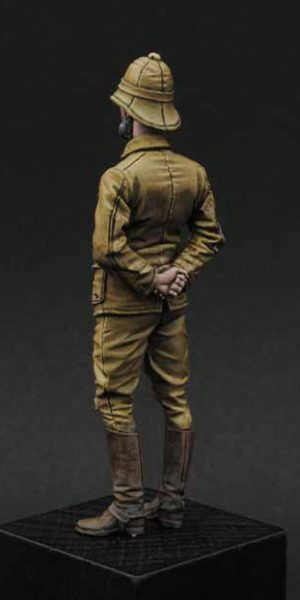 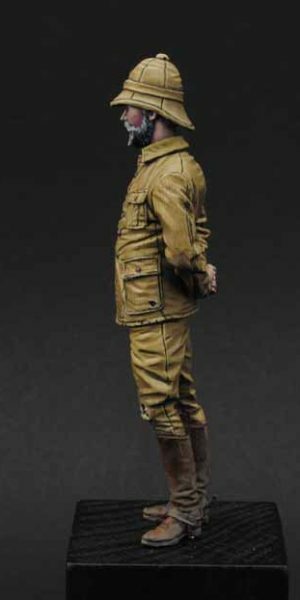 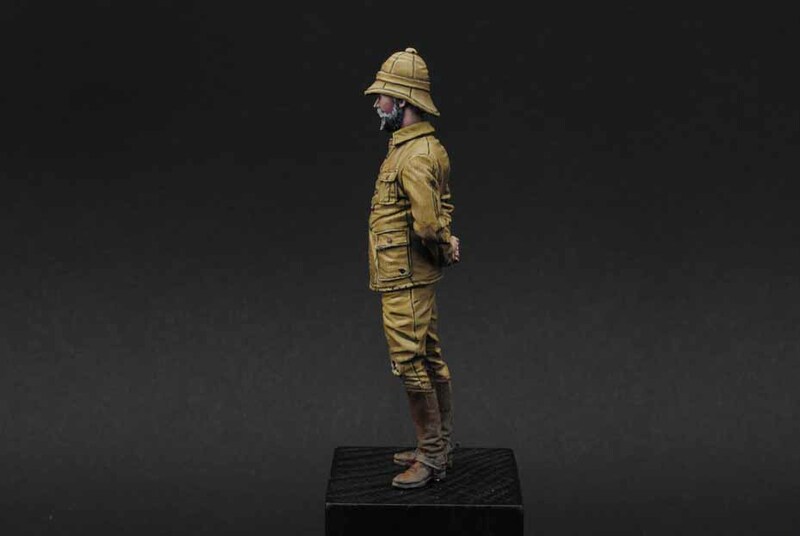 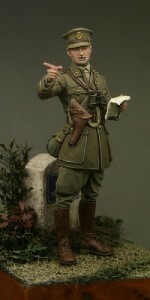 The figure depicts the man unshaven, this was a regular way to spot German officers as they didn’t shave to conserve water. 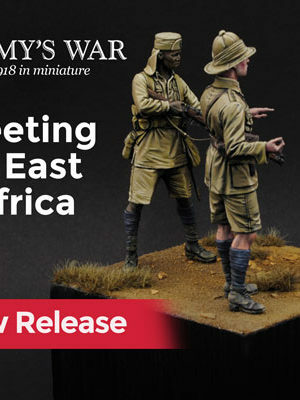 *The German uniform was researched using the book; The German Colonial Troops from 1889 to 1918 by Jurgen Kraus and Thomas Muller published by Verlag Militaria.